The set is composed of 4 instruments: The instrument 70.H1521 is used to make the initial sindesmotomy. After you cut the fibers of the super-crestal attack thanks to its reduced thickness you will be able to easily penetrate into the periodontal space. 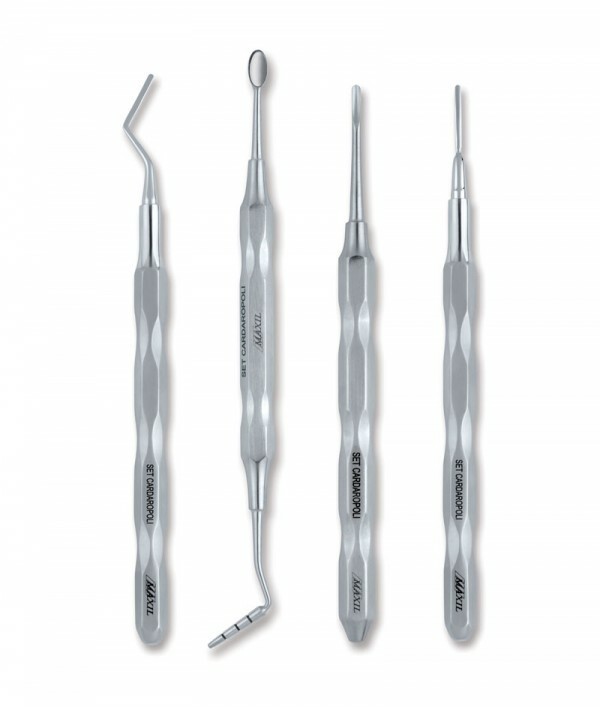 The curved instrument 70.H1523 has its field of use in anatomical areas difficult to reach by the corresponding straight instrument, especially in some parts of the sideposterior sectors. 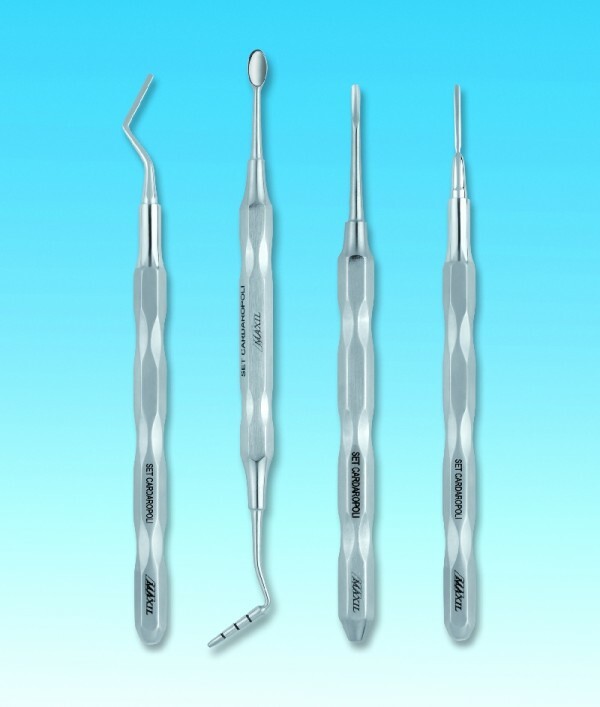 The micro elevator 70.H1520 is used to dislocate the root in the most atraumatic possible way. Thanks to its small size, the cortical bone may be preserved. The spoon side of the 70.H1519 instrument is used to bring the granules of biomaterial in the receiving site, both for the filling of the socket in the ridge preservation techniques and for filling the bone-implant gap in the immediate post-extraction. The compactor side of the instrument 70.H1519 is used to place and compact, with consecutive injections, the biomaterial granules within the receiving site, both for the filling of the socket in the ridge preservation techniques and for filling the bone-implant gap in the immediate post-extraction.